Shopping for Horror: Halloween Plush? Cuddle up with this Michael Myers plush…if you dare! 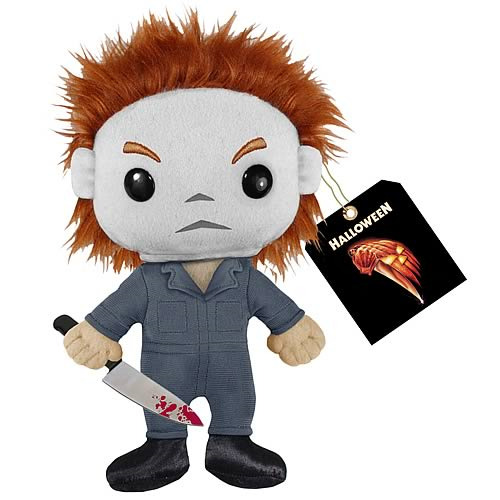 Adorable 7-inch plush version of Michael Myers from Halloween. It's Halloween...we're all entitled to one good plush! Now you can cuddle up with Michael Myers…if you dare! This Halloween Michael Myers 7-Inch plush is a cuddly, creepy way to get close to your favorite horror icons! Order yours today!